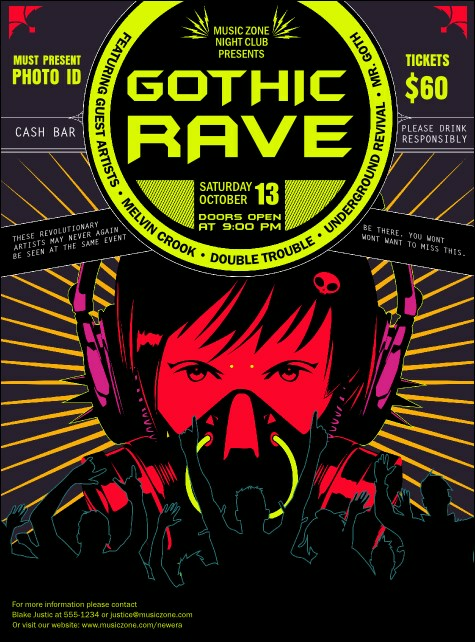 Get the crowd moving when you post the Goth Rave Flyer before your next show. A DJ with headphones sits in the center of this flyer, with the crowd ready to dance in the foreground. A bright green circle announces all your event details on top of this energetic template.